Rural people have been let down for too long, according to Sue Hayman, the woman sparring with Michael Gove on the food and farming brief. Ms Hayman, who was appointed Shadow Secretary of State for Environment, Food and Rural Affairs following the resignation of Rachael Maskell, told Farmers Guardian ensuring countryside communities had the tools they needed to prosper was a key part of her agenda. “People are very unhappy about the amount of money invested in broadband, bus services, schools, post offices and libraries”, she said. While this is undoubtedly true, it is not altogether clear whether people living in the countryside see Labour as the party to remember them. It currently holds just 32 of the 199 rural seats in England and Wales. Asked if Labour had a rural image problem, Ms Hayman pointed to the party’s general election promise to ‘rural-proof’ all policies as evidence of its commitment to the countryside, but other pledges in the 2017 manifesto were met with fear by farmers. Key among these was the vow to end the badger cull. “There has been so much scientific evidence showing badger culling does not make a meaningful contribution to controlling TB”, Ms Hayman said. It is clear she sees badger vaccination as the main component of any bovine TB strategy, despite the practical issues associated with it. While waiting for vaccinations to improve, she said a Labour Government would ‘look at managing cattle movements, biodiversity, vaccination, a programme of just managing the disease’. The Welsh Government’s strategy – before it announced the re-introduction of targeted culling – was held up as a model to follow. Another manifesto pledge which sent shockwaves through the farming community was the neonicotinoids ban. “The evidence says neonics are having a very, very bad effect on bee populations”, Ms Hayman said, before confirming she would maintain the EU’s precautionary principle. On Labour’s proposed land value tax, Ms Hayman said it was ‘not her intention’ to penalise the farming sector, but the party was looking at reforming council tax and business rates. None of these issues, however, were top of her priority list. 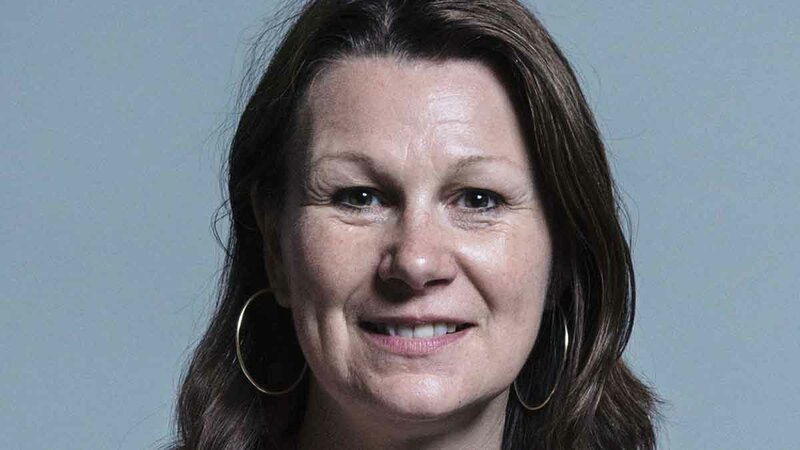 If Labour came to power, she said the first three things she wanted to tackle were ensuring farm businesses could continue to employ from overseas; beefing up the powers of the Groceries Code Adjudicator (GCA) and better promoting British food. Despite the overlap between these aims and some of Defra’s current programme, Ms Hayman disagreed with Farming Minister George Eustice’s claim that there was an ‘emerging consensus’ in parliament over what any future agricultural policy should look like. “I do not think there has been enough discussion in parliament about what the shape of future farming policy should be”, she said, making clear the Labour Party would be tabling amendments to the Agriculture Bill when it was published. So what is her vision? “We are very keen to keep high standards, both in food quality and animal welfare”, she said. “I also think it is important to look at how any future policy is linked to productivity and supporting smaller farmers, because they offer an important addition to our environment and landscape as well as food production. One other way Ms Hayman is keen to support farmers is by ‘retaining the benefits of the single market and customs union’, as Labour Party policy, like the Government’s, is to leave both. Here the English party differs from the Welsh, where First Minister Carwyn Jones advocated a Norway-style relationship with the EU which keeps the UK in the single market. The difference between the two wings of the party on this issue is so big it has prompted a former Welsh Labour Minister to say they could officially divorce. It is not the only area of disagreement between the Welsh and English parties. Asked if she backed the Welsh Government’s promise to derail the Great Repeal Bill over the location of agricultural powers, Ms Hayman said blocking the legislation was not something to be discussed until you have seen the final version – adding there would be Labour Party amendments to ‘make it better’. Despite the tumultuous times, Ms Hayman says she is determined to deliver for farmers as best she can in opposition. “People in rural areas want to know when decisions are made, their needs are really taken into account, so that is what I am pushing for”, she added. General Election 2017: What are the Conservatives, Labour, Lib Dems, Plaid Cymru and Green Party promising?